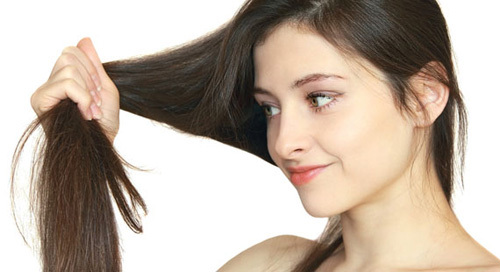 Hair Fall Treatment- Hair loss or damaged hair is quite common nowadays. Seven in ten of the population is suffering from this problem. Most people may notice it at their fifties or sixties but the problem now a day is increasing even in younger population. Apparently, it can be very stressful as well as traumatic to lose hair at a very early age, but the issue is manageable if the exact cause is pinpointed. A genetic predisposition of hormonal balances and imbalances, along with the conversion of testosterone into dihydrotestosterone (DHT), are one of the primary causes of hair loss. Thus, genetic predisposition to hair loss can be inherited from either maternal or paternal side of the family. Excessive stress may increase the level of testosterone, which is then ultimately converted to DHT and interrupt with the normal hair growth cycle. Research has suggested that stress as well can be directly linked up with restricted blood supply to the hair capillaries, causing severe hypoxia and lack of nutritional uptake. This may result into the malnourishment of the hair follicles, causing excessive hair loss. Additionally poor nutrition, rapid weight loss due to detox diet, higher consumption of animal fats and certain deficiencies in biotin, iron, minerals as well as protein are the chief causative environmental factors responsible for hair loss. Similarly, medicinal intake related to different health issues such as thyroid, cancer, PCOD, etc. can be very common causes of hair loss. Apparently, environmental pollutants in the air as well as water, such as exposure to chlorine, metals, minerals, etc. may impact normal hormonal balance of the hair; contributing to hair loss; along with the UV exposure and free radicals can also prematurely age the scalp cells and damage the hair shaft. Apart from these, off course ageing can be related to the hair fall; as we age, our follicles can deteriorate reducing their ability to nourish hair shaft and/or regenerate new shafts accordingly. Current market is full of topical creams, serums, oils, etc. that claims to promote hair regeneration, but unless the cause is rectified the damage cannot be reversed fully and naturally. Fortunately, with the advancement in technology, we have the solution to everything even of those which were once impossible to tackle. Stem cell treatment is one of them. No doubt it is the most efficient treatment ever, because of nonsurgical therapy promoting the growth of hair follicles. Moreover, it promotes cellular regeneration that eventually helps in new hair growth and reduces the effect of baldness. One of the brilliant supplements of stem cell therapy process is PRP (plasma rich in platelets). PRP helps in secreting growth factors and cytokines, which lead to regeneration of damaged cells. SVF cells or Stromal vascular Fraction are those cells in your body which are always there in the stroma of the adipose, popularly known to be as the fat. According to the research it has been proved that these are the functional proteins which are responsible for the regeneration at the cellular level. Stem cells from the richest sources of your own body like adipose tissue are extracted and stimulated with the help of your own PRP. This mixture is later on infused around the damaged hair follicles, which promote the regeneration of the hair follicle cells and keratinocytes. Stem cells therapy has been thus highly appreciated by worldwide clinical trials as an effective alternative solution to laser or hair implantation that not only supports natural hair growth but as well ensures the best hair texture naturally. As stem cell therapy is not surgical or chemically infested, there are no such side effects ever recorded in the history of treatments.